The magnificent thing about this deodorant is that it automatically equalizes odor. It doesn't cover anything up – it immediately ” de-stinks” you. The reason for this is simple elementary high school science: Your sweat and body odor is acidic and the baking soda is alkaline. 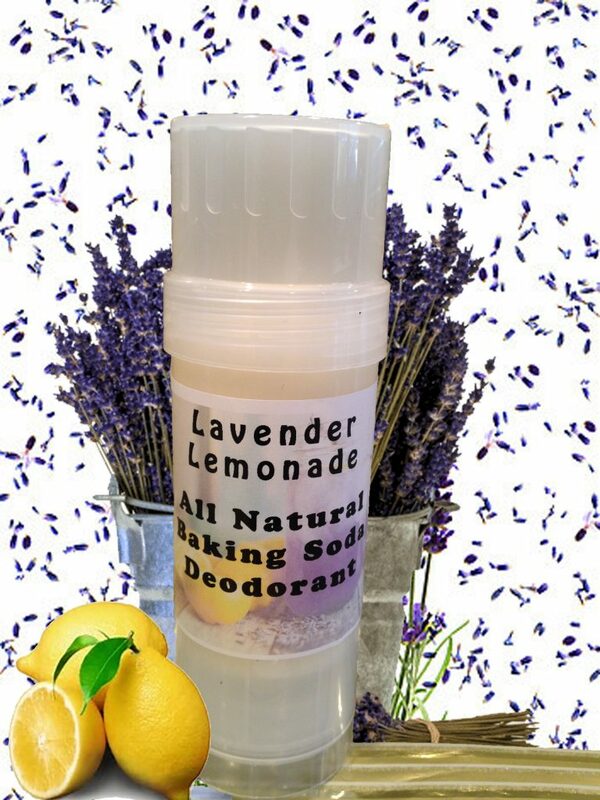 When you put this on, you automatically neutralize the acidity with something alkaline and the odor disappears. Peppermint essential oil is a refreshing, stimulating, awakening scent. It's very light in this formula because it is such a powerful scent, but you may find yourself sniffing your armpit here and there because it is so refreshing. For more information on Peppermint Essential Oil, click here. Rosemary is known as a memory enhancer and eucalyptus is long known for clearing the air with freshness and improving breathing. Lavender Essential oil is proven effective as an anti-inflammatory, antifungal and anti-bacterial. Click here for more information on this fragrant, healing flower. And, it’s no coincidence that the fresh smell of a lemon makes you feel fresh and clean. Click here to read some interesting facts about the metaphysical meaning behind that Lemon Freshness. 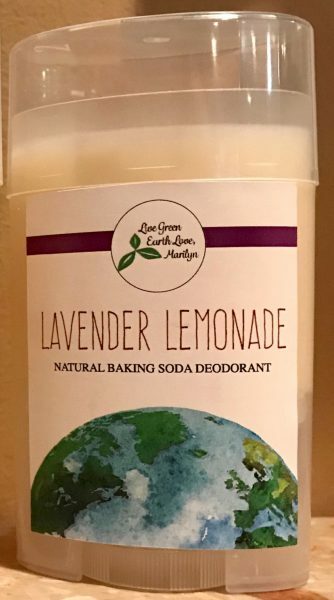 This Product is completely natural and made with vegetable oils, cornstarch, essential oils ( rosemary, eucalyptus, peppermint, lemon, rose and cloves and baking soda. Because the smell of your sweat is chemically acidic, and baking soda is naturally alkaline, just a small application of this natural product automatically neutralizes odors. It doesn’t hide the BO, it eliminates it!